Welcome. Come in. Have a drink. See someone you would like to meet? Follow them. Watch them. When you are done, find a new partner and follow them. There are soldiers, wives, poets: whatever you like. Don’t want to commit? Then just wander from room to room and see who you find. Sneak out to the garden.Have an encounter in the ballroom. Try it. It doesn’t matter. Nothing matters. 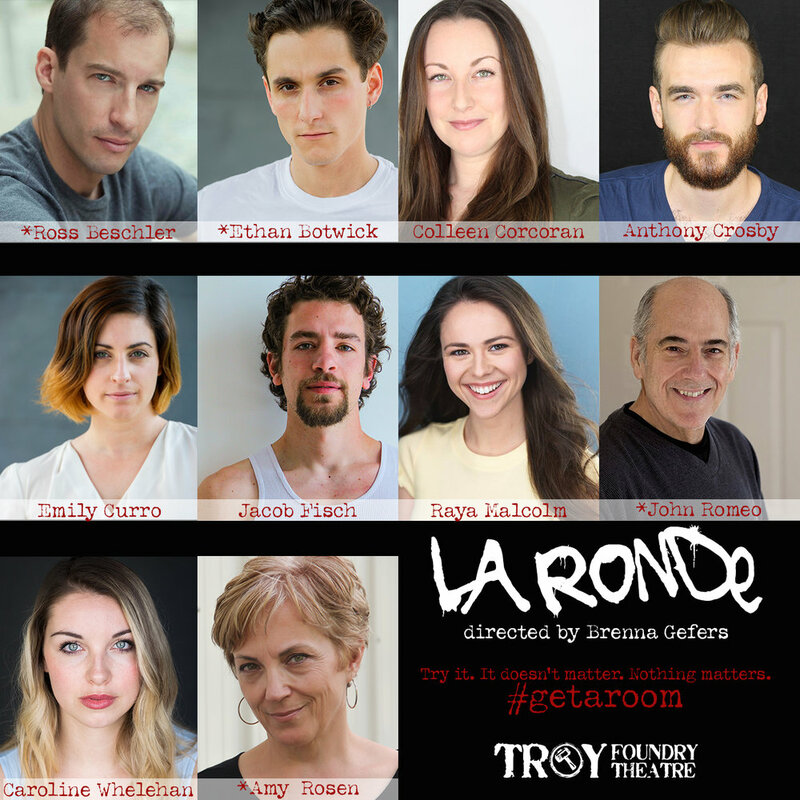 The original text for LA RONDE, was written by Viennese author and dramatist Arthur Schnitzler. Named for a type of dance, the audience meets 10 individuals who exchange sexual partners throughout the piece. Considered scandalous for its indictment of sexuality among the upper, educated class, Schnitzler’s piece acted as an expose of the hypocritical attitudes of his time. The play was banned by censors preventing its first public performance until 1920, 23 years after it had been written. When it was finally performed Schnitzler was charged with being a “Jewish Pornographer” with the courts taking a year to formally dismiss the charges. The public abuse was enough for the writer to withdraw his script from performance until 40 years after his death. 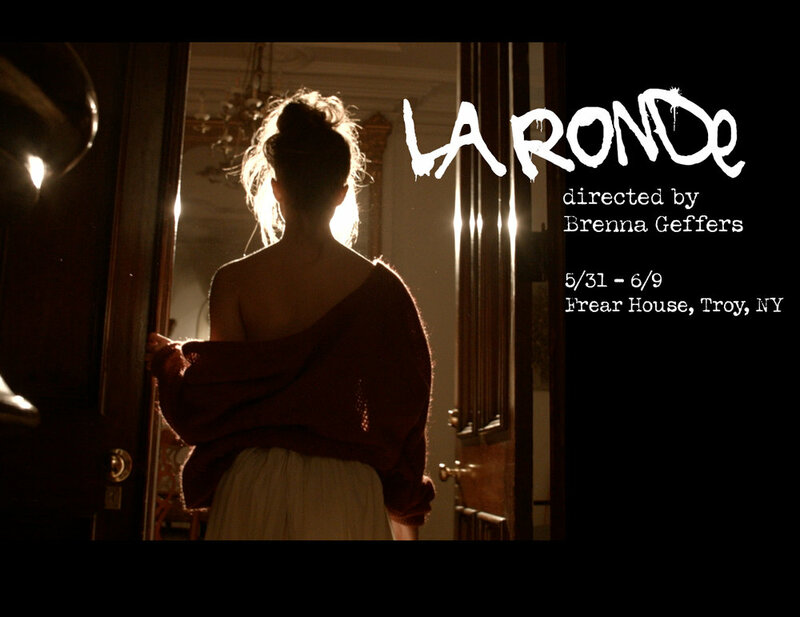 More than 100 years after its first censor, director BRENNA GEFFERS has taken a new approach in her experimental adaptation of LA RONDE, with more inclusive representation of sexual orientations and a less restrictive view of gender roles. The travelling and immersive experience of this new adaptation creates as much a sensibility of voyeurism as theater-going, with each viewer intentionally invading the private spaces, eavesdropping on the personal conversations, and observing the intimate assignations.